This past weekend, St. Clair College hosted what is considered the “Olympics of Marketing” event, the 33rd Annual Ontario Colleges Marketing Competition. The event sees over 350 college marketing students from across the province compete in the two-day event. Not only did St. Clair College have the chance to not only show, but they were able to showcase the City to visitors from thirteen colleges across the province. “We were thrilled to host this competition in downtown Windsor”, says Nicole Rourke, Business Faculty and one of the key organizers of the event. 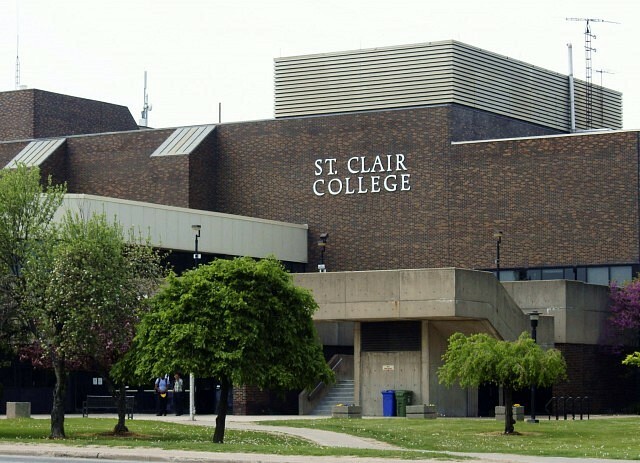 “ It was great to showcase our outstanding facilities in the St. Clair College Centre for the Arts, with the best view of any college campus in the province”. Rourke is thrilled with her student’s performance. “Months of preparation really paid off and it was great to see our home team do so well”. The College raised more than $100,000 to host the event and included more than 40 executive judges who came from as far away as Montreal. Local winners were marketing students Ted Williamson and Roger Provencher who took a Gold Medal in the Entrepreneurship Case competition at the 33rd Annual Ontario Colleges Marketing Competition. Third year marketing students Joseph Cickovski and Roger Provencher also took home a Silver medal in the International Marketing Case competition. As part of a multi-college team, St. Clair Business Marketing student Tyler Shelson was part of the fourth place team in the Quiz Bowl.